SAN JOSE, Calif. (AP) — Chris Wondolowski goes to work for the San Jose Earthquakes with little fanfare, the pursuit of Landon Donovan’s Major League Soccer career scoring mark hardly weighing on his mind as he focuses his energy on providing an example for his teammates and the youth. That unique, difficult path is what makes the record he is chasing all the more remarkable. The 35-year-old San Jose forward enters the weekend with 142 goals, three shy of Donovan’s record. 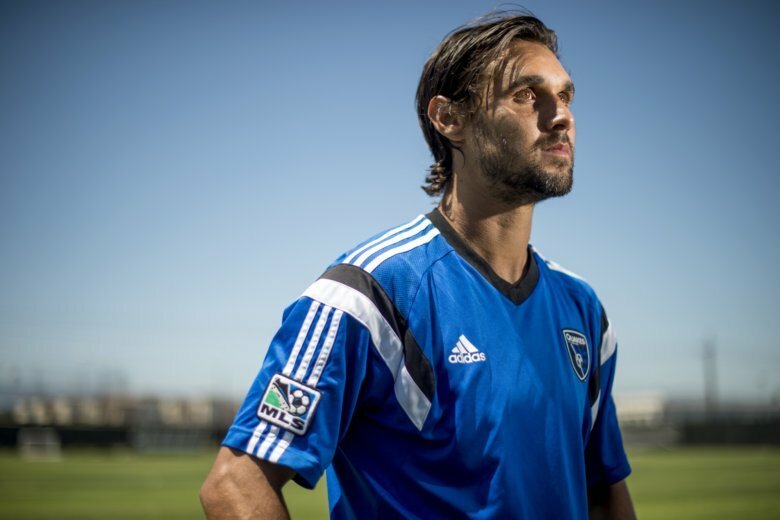 The Earthquakes provide regular “Wondo Watch” updates reminding everyone of where their star and captain stands. The 35-year-old San Jose Earthquakes forward has 142 goals and is closing in on Donovan’s MLS career mark of 145. The Quakes provide regular “Wondo Watch” updates reminding everyone of where their star and captain stands in his pursuit. Wondowloski has eight goals and five assists with five matches remaining. While Donovan isn’t quite ready to give up his place on top, he also realizes Wondolowski’s journey has been both unheralded and improbable. And Wondolowski has shined right at home in his Bay Area backyard, having grown up in the East Bay suburb of Danville. Wondolowski still enjoys everything about his job, even the grind of training — and his teammates take notice of that positive, always-give-your-all spirit even during a down year. Especially after the heartbreak in Brazil four years ago at the World Cup, then the Americans’ failure to qualify for this year’s World Cup in Russia. Wondolowski may long be known for the goal he failed to score in Brazil, a monumental miss from close range in the final minute of second-half stoppage time at the 2014 World Cup in Brazil as the Americans were eliminated with a 2-1 extra-time loss to Belgium in the round of 16. He sailed that one-touch try wide and over the crossbar as the goalkeeper charged out. “I’m gutted to have let down everyone but especially my teammates. It’s been an incredible ride but I know this will make me stronger,” he wrote on Twitter afterward. Before Wondo even earned a spot on then-U.S. coach Jurgen Klinsmann’s 23-man roster for the World Cup, his coach for the Earthquakes, Mark Watson, insisted the forward’s best soccer was still ahead. Donovan was cut from that team in a stunning move by Klinsmann, then while working as an analyst he criticized his former coach for not building the right roster to succeed on soccer’s biggest stage. Wondolowski didn’t take it personally. For now, Wondo is certainly still playing like he’s in his prime. Donovan is widely considered the best player in MLS history, so matching his goals total would mean so much for Wondolowski — and Donovan is ready for the next young star to emerge and far surpass the number one day.